I read about Muhammad Ali twice on Friday, hours before meeting a new friend for late-night drinks and spotting the TV headlines reporting his death. 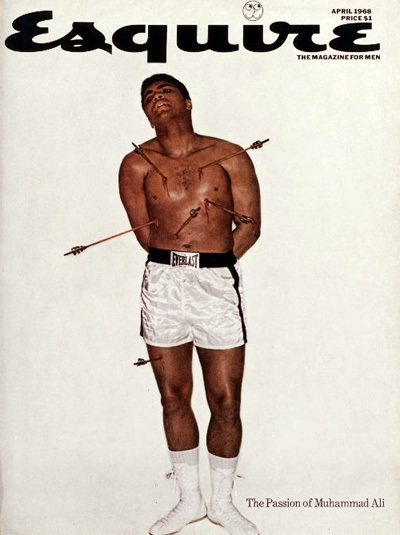 During the afternoon, a promo showed up advertising a weekend cable TV special set to describe the search for Ali's "lost" gold medal. And at dinner hours later, Ali's health appeared in headlines out of Arizona. 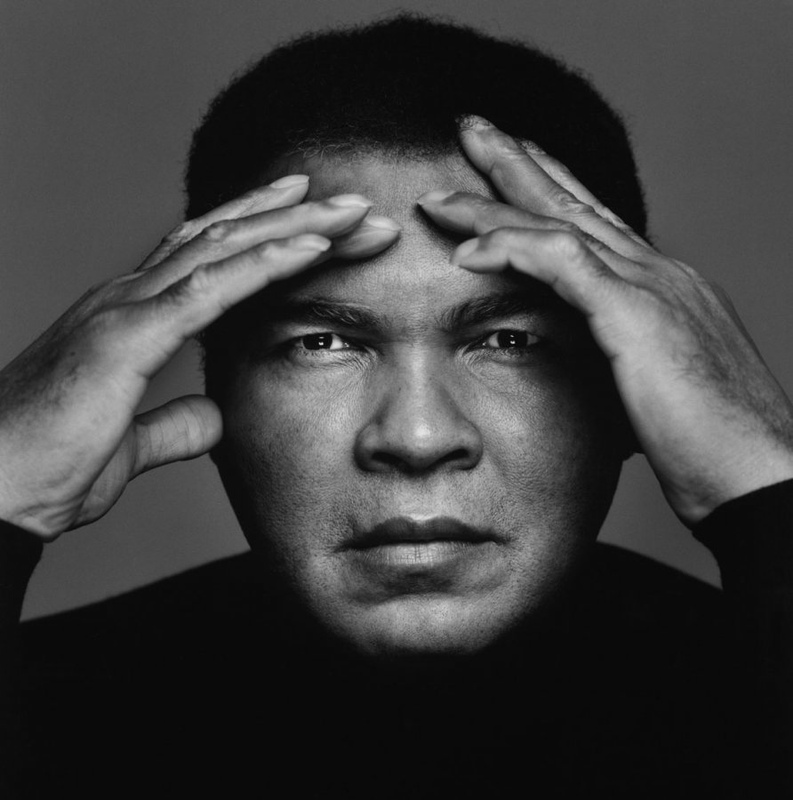 Very sad to read he is no longer with us, and like learning about others who left this world earlier this year, the memory of learning of Ali's death -- where I was and who shared that experience -- will likely stay with me for decades. Though hundreds of tributes will appear soon, perhaps the most fitting so far is The New York Times' banner headline "Muhammad Ali, Titan of Boxing and the 20th Century, dies at 74." 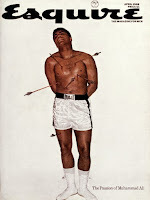 My earliest Ali memories are from highlight reels on ABC "Wide World of Sports" or in Olympic history books of my youth. 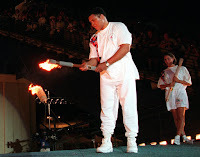 "The Greatest" popping up to greet Janet Evans in the 1996 Olympic Opening Ceremony of Atlanta brings to mind my all-time favorite Olympic torch relay moment and torchbearer, not likely to be topped for this blogger as Ali's perseverance and ties to civil rights helped shape my POV on race over and over again. What a breathtaking moment it was for billions on July 19, 1996 -- hardly a dry eye in the stadium. 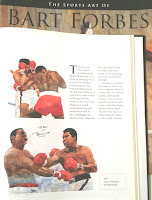 A few months later, it was an honor to meet Ali briefly at his post-Games book and memorabilia signing events in the Buckhead Barnes & Noble, where the line of fans extended out the door and along Peachtree Street (only Hillary Clinton and Tom Wolfe drew similar crowds, but not nearly as many patient fans, as Ali did). The boxing legend stayed for extended overtime to be sure every single person in line got their moment. 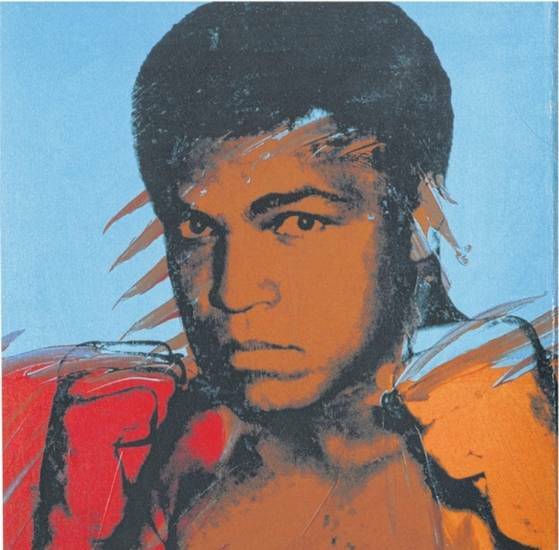 The Oscar-winning documentary "When We Were Kings" -- which detailed the boxer's march toward the "Rumble in the Jungle" -- provided me the most thorough lessons in Ali's global influence. Who could forget Ali and George Foreman on stage at the Academy Awards? Even the most elite Hollywood royals appeared starstruck. 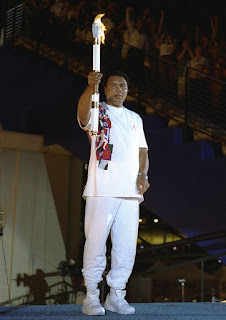 Also enjoyed a front row seat to witness Ali as the first torchbearer for the 2002 Salt Lake Olympic Torch Relay when it started in downtown Atlanta's Centennial Olympic Park. It was not long after September 11, 2001, and Ali's appearance with Peggy Fleming was a bright spot in an otherwise dour autumn. Somewhere in my photo archive, I have an image snapped of Ali and then-SLOC leader Mitt Romney moments after the flame embarked on its journey to Utah. It was reassuring to see Ali again during the London Olympic opening ceremony. By his appearance in the Sochi Olympic opening ceremony, however, his decline seemed far worse -- at that event, I was dealing with my parents' failing health from 14,000 miles away, and for me Ali's weakened state foreshadowed my parents' passing as well as Ali's; I remember thinking and saying out loud, "This is the last time Ali will be at the Games." 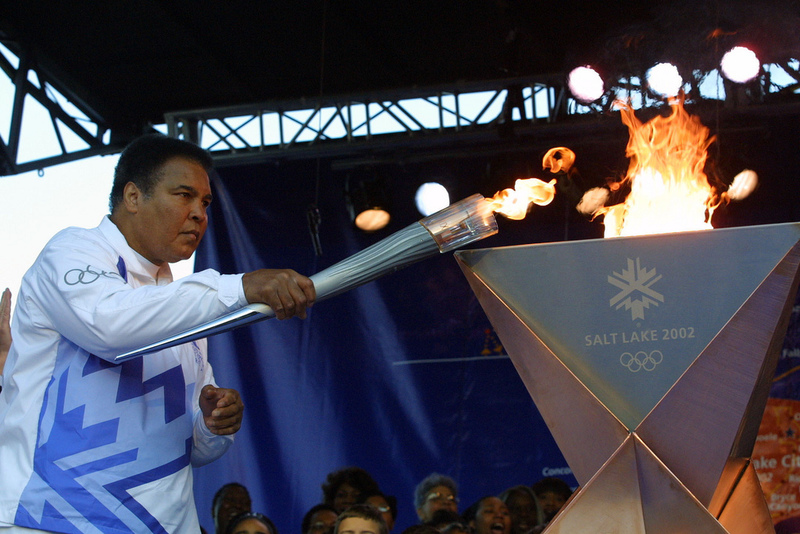 But these 2012 and 2014 Olympic cameos illustrated Ali's lasting importance/relevance and Olympic icon status -- I think of Ali as "The Greatest" not only in Olympic and professional boxing, but perhaps the greatest champion and ambassador of The Olympic Movement since he won gold in 1960 as Cassius Clay. It was very cool when the IOC replaced his lost medal at a ceremony in the Georgia Dome in 1996. 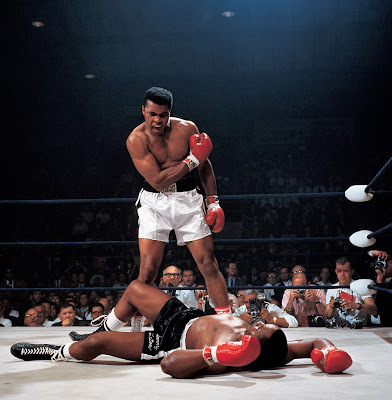 Ali's career and personality also shaped my love of sports photography and art. Just a few weeks ago, NPR aired a special segment on Neil Leifer, the sports photojournalist who captured several world-famous images of Ali in the ring. 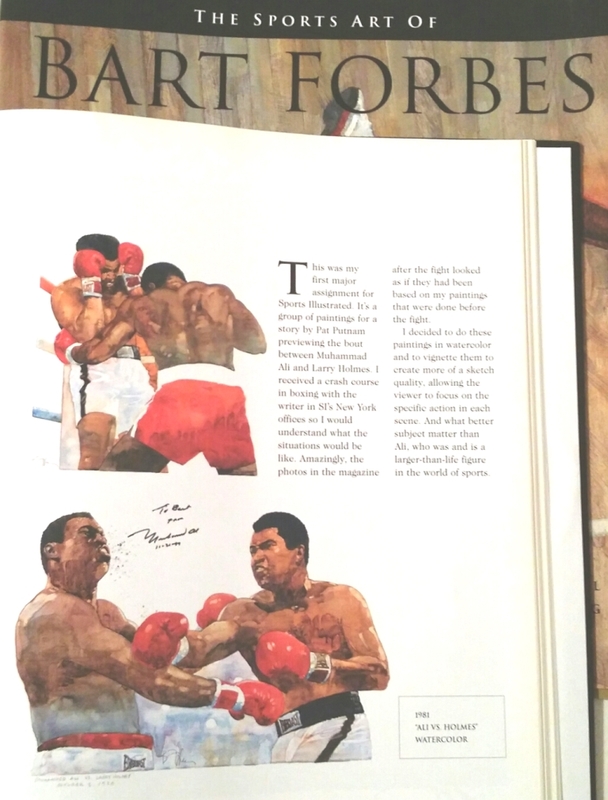 And Bart Forbes, the Dallas-based fine artist whose first major assignment for Sports Illustrated featured Ali and Larry Holmes, wrote about his experience depicting the boxers in the book "The Sports Art of Bart Forbes." My best friend Jason's dad, Philip, also painted Ali on a canvas I've pined for for 30+ years. I also learned a lot about Ali via dozens of pages in Howard Cosell's autobiographies "Cosell" and "I Never Played The Game," in which Cosell described his later interactions with Ali during the Los Angeles Olympics in 1984. 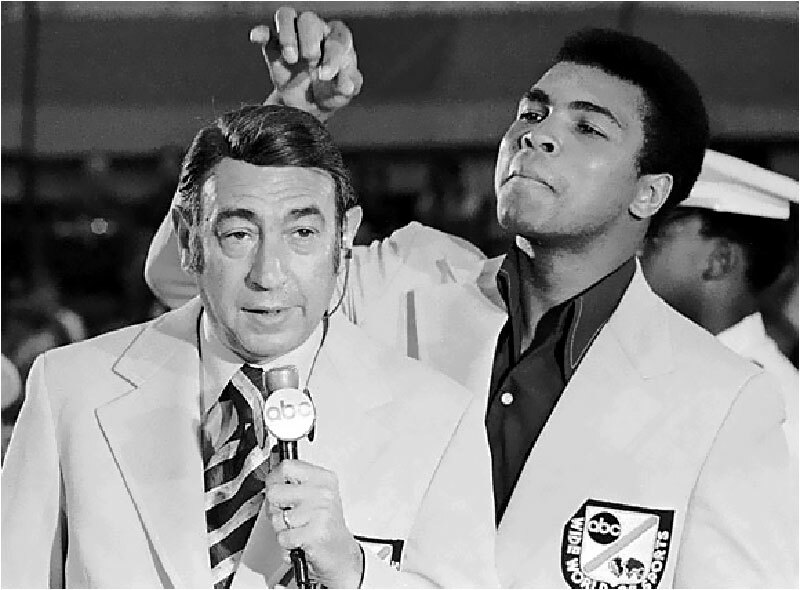 It was really too bad Cosell did not live to see Ali in the Atlanta ceremony. 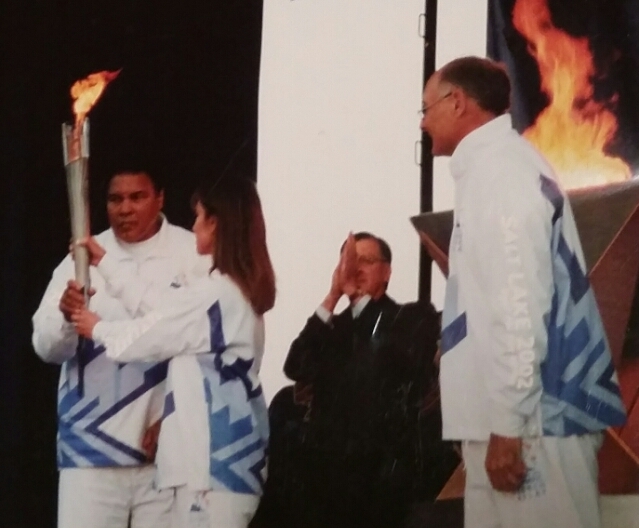 Though my introduction to Janet Evans earlier this year was a mixed bag behind-the-scenes at the Team USA Rio Media Summit, I admired Evans for her LA2024 statement about sharing the Olympic flame with Ali in 1996. "Muhammad Ali was truly the greatest - an athlete who transcended sports to become a global icon. "He inspired me, and millions of others around the world, to be the best version of ourselves. 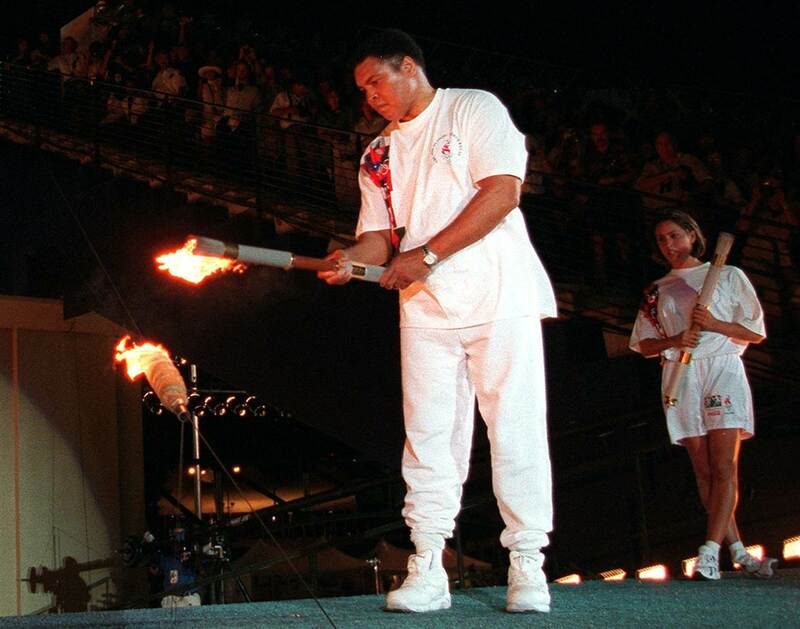 Passing the Olympic torch to Muhammad to light the cauldron at the Atlanta Games in 1996 was the defining moment of my career, and a memory I will treasure forever, as much as any of the medals I won. "As Olympians, our role is to inspire others to achieve their dreams, and no person has ever lived that role more than Muhammad Ali. On behalf of all of us at LA 2024, we offer our deepest condolences to Muhammad's family and friends. He will be sorely missed, but his legacy will forever endure." -- Janet Evans, LA2024 vice chair and director of athlete relations. Enjoy Olympic Day and Move! Want to Carry a 2018 Olympic Torch?